There are many drug rehab programs available in South Carolina. Why choose New Life Retreat? Please call for information on any of our locations, our experienced counselors are here to help you find the best possible treatment for you or your loved one. Calls are private and toll free with absolutely no obligation. Our beautiful main facility in Louisiana offers a serene comfortable setting for the recovery process to take place. 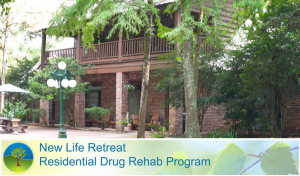 Located near Baton Rouge the retreat atmosphere allows participants to relax and focus on their recovery. The centers small size and high staff to client ratio allows the best possible recovery experience.